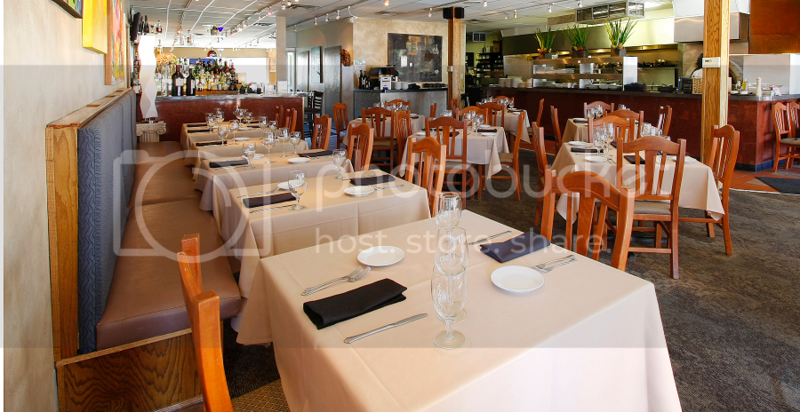 Located in downtown Ferndale, Assaggi opened in the spring of 2000 with the intention of creating a casual, elegant bistro setting with a warm, friendly and welcoming atmosphere. The aromas from our various entrées invite our customers the moment they walk through the door. The food at Assaggi Bistro is a mix of Rustic Italian and Country French with a touch of Lebanese. Our menu changes to bring you the best in local seasonal ingredients. Assaggi Bistro offers a full bar and wine listing with a selection of over 120 wines from select vineyards around the world. Service is always friendly, knowledgeable and professional. Our mission is to create a memorable experience from start to finish. Our reputation has been built by word of mouth. The dining room atmosphere consists mostly of earthtones while modern artwork created from such local artists as Sue McClear, Carol Valente, and long-time customer Maureen Sillman's black and white photography. adorn the walls. Perhaps the most notable feature of the main dining area is the inclusion of a large wood fired oven displayed prominently within Assaggi's open kitchen. At Assaggi, we offer old world hospitality for a modern world. Combine uniquely flavored dishes, hospitality, and warm, friendly service with energetic owners who are always nearby .... and you have the recipe for Assaggi's success.